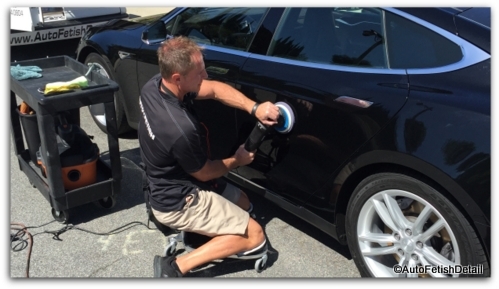 Safely Polish Your Car Like A Rock Star! You really can buff a car like a rock star even if you are a complete beginner. Even if you have never held a car buffer in your hand. 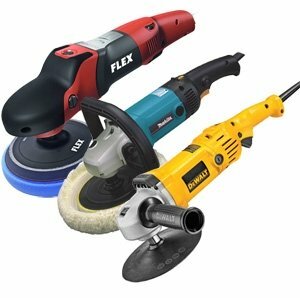 With the latest in car buffer design and engineering, the industry has designed specific car polishers that bridge the gap between complete beginner and seasoned pro like myself. After reading my recommendations and reviews, you will have enough information to finally make the leap from average to supreme shine! The biggest mistake you are likely making as a beginner is thinking that bouncing from one review to another is finally going to get you somewhere. In many ways it's not your fault but simply a by-product of this thing called the Internet. But the Internet allows anyone with an opinion to become a self-proclaimed expert on any subject which only adds to your confusion and frustration. I speak from personal experience having tested all the top rated car polishers. I am a professional detailer with over 30 years of experience. I have taught countless guys how to buff a car safely and effectively to achieve professional level results. So unlike the Internet trolls or so-called experts, this time you really are dealing with an experienced professional. I have no personal agenda as I represent no brand or manufacturer, but will speak solely on experience from all three of those areas. What I need to clarify here is the difference between waxing your car with a buffer, and polishing your car with a buffer. Many guys go looking how to buff a car when really all they want is a car buffer to apply and remove car wax so they don't have to do it by hand. If you are one of these guys then you really don't need to over-think things here and you can choose this top rated, entry level car buffer below. As safe and basic as a car buffer can get. Perfect for applying car wax or to perform very light car polishing. Not your daddy's bulky, rattle-your-arms-loose orbital car buffer you grew up seeing in daddy's garage. Not the buffer you want if you actually want to permanently remove paint flaws and blemishes from your cars paint. Definitely not the car buffer if you want to buff a car like a rock star. Buff A Car Like A Rock Star! You have never touched a buffer before or have extremely limited experience. You are not quite sure which buffer would be best for a beginner. You know your car could look better if you could polish the paint. You want permanent results when you buff your car. You are ready to buff your car for head turning stares. If you can answer yes to most of those, then you are ready to jump into the world of both professional grade buffing as well as super safe buffing. Let go of the bad stories associated with the high-speed, rotary car polishers that swirl around the Internet. (pictured here) Stories of burned clear coat, burned paint, and swirl marks. These buffers are excellent pieces of equipment in the right hands, but require much more training before most guys can feel completely safe when it comes time to actually buff a car. Below I will lay out the top rated buffers within the world of car enthusiasts and detail professionals like myself. The following recommendations also represent what I consider the winning balance in benefits and features. My recommendations also include top rated car polishing kits. Kits are an ideal way to keep things simple (no sourcing from endless choices in polishing pads, compounds, and polishes) and to save money with bundles. As safe as safe can get. This particular kit is even more comprehensive as it contains detailing clay to decontaminate your paint before polishing. Griot's is one of my favorite companies who not only produce excellent tools and products, but has excellent customer service. Quality at every step of the way! When you are ready to buff a car, you will buff like a true professional. The most solid, well built buffer I have ever owned and used. Also the heavier of the car buffers that you will either like or dislike. The last polishing kit you would ever need and would last you a lifetime. Many professionals consider this the leader of the pack of all car polishers. Everything needed for professional grade results when buffing your car. This Rupes car polisher is part of their second generation line. This is also the Mark II which is the second generation polisher. As good as good can get. Lighter than the Griot's 21 mm polisher that I personally appreciate when doing lots of polishing. Darren's Professional Tips: As a beginner you will most likely be working on a budget. And even if you have money to burn, nobody likes disappointment. I know I don't and for this reason I want to add a couple of key factors in deciding to buff a car and trying to pick the best, top rated car buffer that will be the perfect fit for you and your world. I get the dilemma! It is real and significant. Just know that as a beginner, your lack of experience will keep you from understanding the subtle nuances when it comes to using the higher end polishers from both Griot's and Rupes. Look at this as the good news as you will not know the difference as a direct, side by side comparison and therefore will not be disappointed. I can promise you that regardless of any of the car polishers from Rupes or Griot's, you will NOT be disappointed. If you are then you would be the first! I have owned and used both Rupes and Griot's for years professionally and still switch back and forth. Often in life a simple change is a good thing if you have that luxury like I do as a professional. If I had to choose a single buffer from this page to buff a car with, it would be the Rupes 21mm Mark II car polishing kit. I prefer the lighter weight of the Rupes, but also like the larger throw of the 21mm since most car panels are typically large and mostly flat. A larger throw buffer allows me to cover more area faster than with the smaller throw buffer. Once again as a beginner, you will not have the experience to know the difference so don't overthink it at the beginning before you have even buff a car for the first time. I hope I have helped eliminate much of the confusion that exists out there and I wish you success in your won world.